New Delhi: All medical professionals from All India Institute of Medical Sciences (AIIMS), New Delhi have extended their helping hands towards the flood victims of Kerala by donating their one-day salary to Kerala Flood Relief Fund. The medical fraternity working at AIIMS, New Delhi including faculty members, resident doctors, nurses and officers decided to collectively donate 1.77 crores. The flood has left the state devastated in many ways; this would help in bringing some normalcy to the existing life. 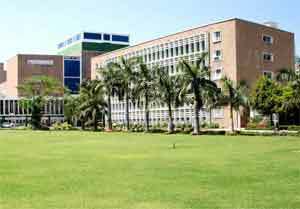 “AIIMS, New Delhi solicit its full support in the effort and is ready to extend all support,” said a statement from AIIMS. The cheque of the fund was handed over to the Kerala Minister A.C Moideen by AIIMS Delhi Director Randeep Guleria.